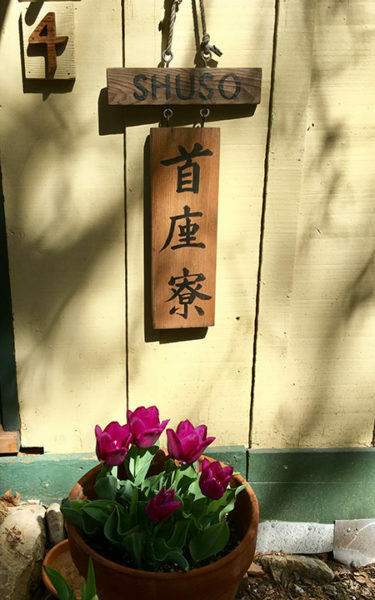 Heather Iarusso is the shuso (head monk) of the Winter 2018 Practice Period at Tassajara Zen Mountain Center. Serving as shuso is strenuous. From the moment she rises before 3:50 am to wake everyone up to the intimate shuso teas she hosts and dharma talks she delivers, she must give herself entirely to the role of shuso, serving beside the practice period teacher, Ryushin Paul Haller. It is a rite of passage, six months after which Heather can begin leading practice discussions.